French researchers have found that Ultraprocessed food increases and hastens mortality in middle-aged adults. 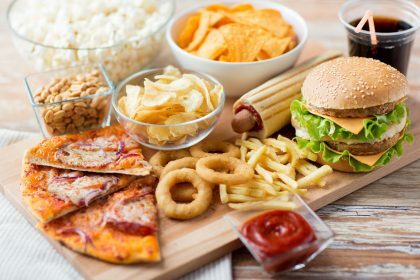 According to new Study, there is a 14% higher risk of early death with every 10% increase in the amount of ultraprocessed foods one eats.Te study has appeared in the journal JAMA Internal Medicine. Essentially, a processed food is just anything that’s been deliberately altered in some way before you eat it, which could mean that it’s been frozen, dried, or artificially formulated from scratch into a microwaveable dinner. There is a growing evidence that higher intake of ultraprocessed foods is associated with higher incidence of noncommunicable diseases. But the association between ultraprocessed foods consumption and mortality risk has never been investigated till date. Laure Schnabel,at Université Paris , Sorbonne Paris Cité, Bobigny, France and associates conducted a study to assess the association between ultraprocessed foods consumption and all-cause mortality risk. In order to understand the relationship between ultraprocessed foods and the risk of an earlier-than-expected death, the researchers in this observational prospective cohort study,enlisted the help of 44,551 French adults 45 and older for two years. Their average age was 57, and nearly 73% of the participants were women. All provided 24-hour dietary records every six months in addition to completing questionnaires about their health (including body-mass index and other measurements), physical activities and sociodemographics. The researchers calculated each participant’s overall dietary intake and consumption of ultraprocessed foods. The researchers found that a total of 602 deaths (1.4%) occurred during follow-up. After adjustment for a range of confounding factors, an increase in the proportion of ultraprocessed foods consumed was associated with a higher risk of all-cause mortality . The investigators concluded that an increase in ultraprocessed foods consumption appears to be associated with an overall higher mortality risk among this adult population; further prospective studies are needed to confirm these findings and to disentangle the various mechanisms by which ultraprocessed foods may affect health.